Nissan has detailed the all-new NP300 Navara pickup set to hit global markets, and with it offered a glimpse at what the next generation Frontier may look like. The new NP300 Navara looks an awful lot like a baby version of the redesigned 2016 Titan, with similar crease lines along the fenders and bedsides, as well as similar LED headlights. Another common thread between the two trucks is under the hood, with both offering new diesel engines. An area the two trucks differ, however, is in Nissan's marketing approach. 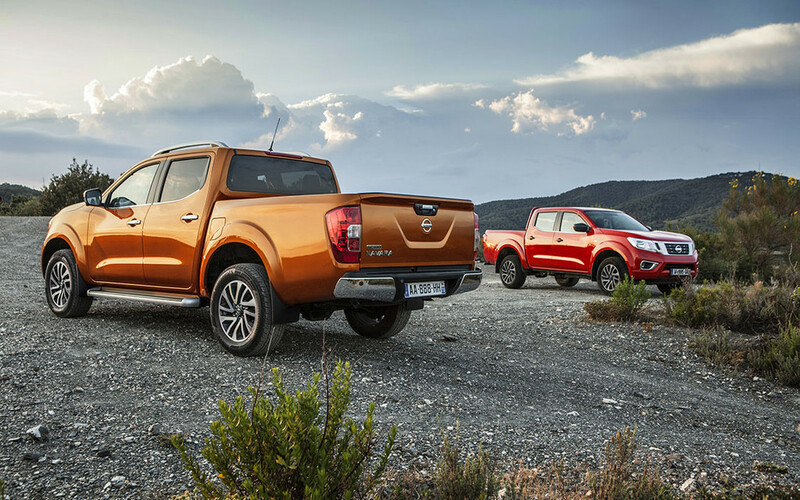 With the Titan Nissan has been pushing the "tough truck" persona, with the redesigned NP300 Navara the automaker has taken a different tack, claiming the midsize pickup offers "a crossover-style driving experience." There's no telling how much of the new NP300 Navara will show through in the next-gen Frontier, particularly in the diesel department, but Frontier fans can take comfort in the fact that a new version should be on its way in the near future.